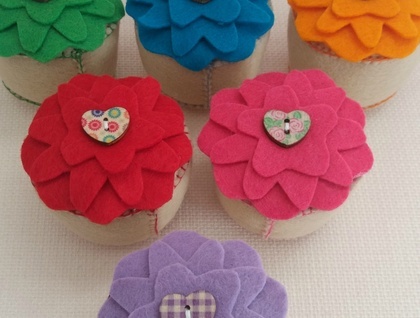 Handmade hand stitch wool felt six piece colourful cupcake set with beautiful wooden buttons. This set is wrapped with a windowed box for easy use. Contact heartfeltemma to enquire about payment or shipping options.